Samsung is telling Galaxy device users they’ll soon be able to use their phone’s fingerprint sensor to unlock nearly any Windows 10 PC. The Samsung Flow app currently lets users unlock a Galaxy TabPro S 2-in-1 with the fingerprint sensor on a Galaxy S7, S7 Edge, S6, S6 Edge and Edge+, Note 5, and A7 and A5 devices. After the Windows 10 Creators Update, however, that login feature will expand to all Windows 10 PCs that have the hardware to support it, as first reported by SamMobile. “Samsung Flow is compatible with TabPro S now. But it will support all Windows 10 PCs from Windows 10 next major update (estimated early April),” a Samsung representative said in response to a user review on Google Play. 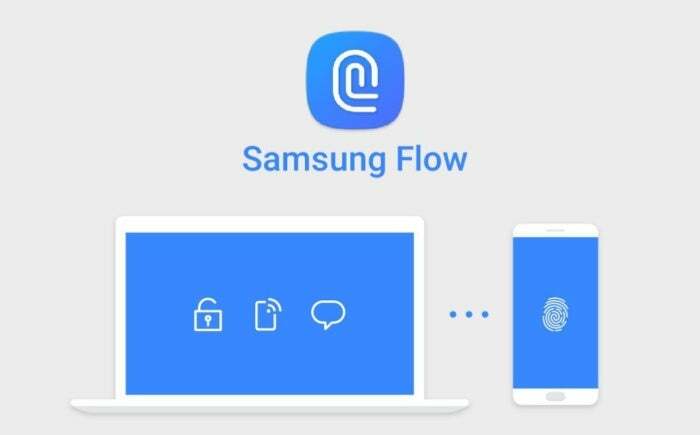 Samsung’s set up requires the use of the Samsung Flow app on your phone and a special utility installed on the Windows machine to unlock. Unlocking your Windows 10 PC with your Galaxy's fingerprint reader also requires the use of Bluetooth on both devices, and NFC on the smartphone. The story behind the story: Samsung’s solution is, as the company says on Google Play, a “neat trick,” but a native solution would be better. Microsoft added that capability with the Anniversary Update’s Windows Hello Companion Device Framework. So far, however, we’ve seen mostly fitness trackers and security devices like the Yubi Key take advantage of the authentication feature. Nevertheless, Microsoft has, on several occasions, talked about using Android and iOS smartphones to unlock your Windows 10 PC—most recently in September during the Microsoft Ignite conference. The company has also been testing PC unlocks with a Windows 10 Mobile authenticator app. Perhaps the Creators Update will finally bring smartphone unlocks to everyone who has a Bluetooth-enabled PC and phone. If so, that will finally bring Windows 10 up to parity with Chrome OS.